Great price! These handy, easy-to-install drinker cups deliver a constant supply of fresh water from a variety of containers and are a great, mess-free alternative for dirty tubs and bowls of water. 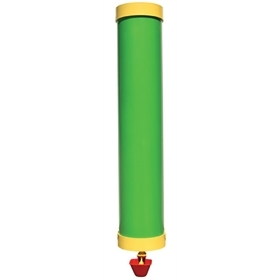 They should only be used with a gravity flow system; they are not designed to be connected to a pressurized water supply. The cup is filled with water automatically when your chickens beak the yellow tab to drink (you may have to depress the tab a few times until your chickens get the idea). 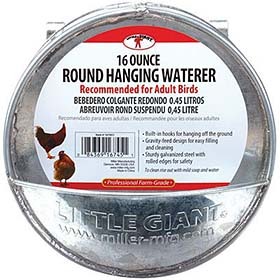 Keep in mind that very young baby chicks and very small bantams may not be able to depress the tab, so these work best for adult large fowl chickens. Installation: simply drill a 3/8" hole into your desired water source and screw the poultry watering cups. To assure water tightness, plumber's tape may be used.